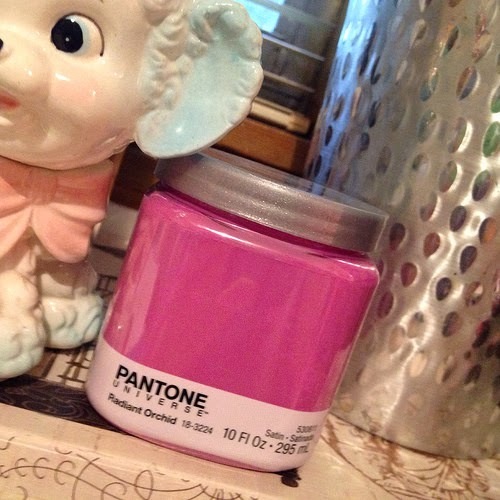 I wanted to follow up a little bit from my previous post about Radiant Orchid, the Pantone color of the year. I'm a serious purple lover from way back when and now that it's on trend again, I love love reading and seeing how everyone is reinterpreting this vivid hue. First off, how am I the last to know that Lowes is carrying Pantone paint??? I scooped up my sample of Radiant Orchid and a fistful paint sample cards of other favs. No thoughts on what to paint yet but I am using it as a guide to inspire me with new and upcoming projects. 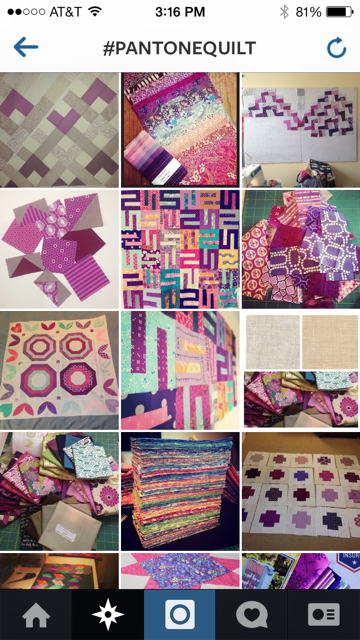 Better than me, many talented people have started the year off right with the Pantone Quilt Challenge. Again, no idea this was a thing but WOW - peruse the tag #pantonequilt and you'll fall in love and get inspired. 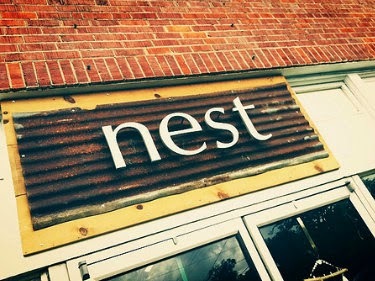 Entries are due in March; so, if you are not the procrastinator that I am - have at it! 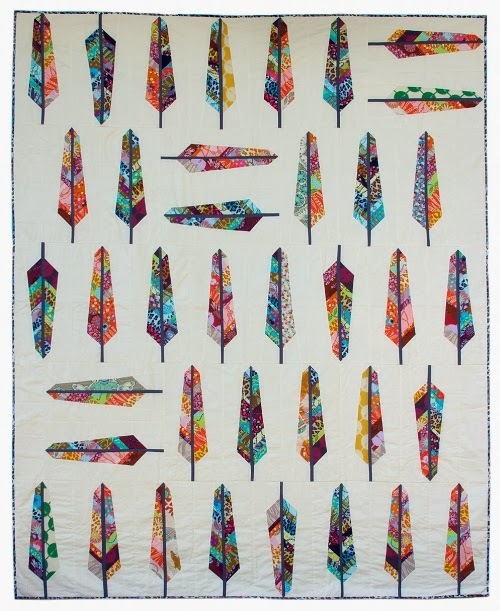 By the way, in my searching, I came across this wicked cool quilt block that led to another tag #featherbedquilt. Have you seen this in any of your feeds? It's a free pattern from uber cool Anna Maria Horner. 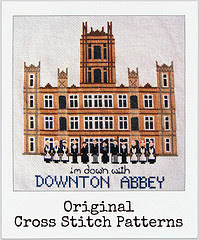 This is seriously on my wish list to make...just need to invent several more hours to each day! Anywho, this pattern really lends itself nicely to a pop of Radiant Orchid. Give it a go - my go to picks with this shade of purple are turquoise, citron, and for a neutral - try a slate grey.